Even if you’ve never been to this famous course in person, simply watching coverage from the 2018 Idlewild Open gives you a good idea of how challenging it is. Add to that some crazy weather during day one, and this year’s event was certainly one to remember. 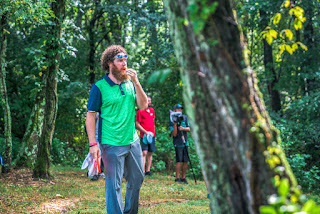 We got a chance to chat with DD team member Zach Melton, who shared second place with James Conrad after a fierce battle during Sunday’s play. Melton put up three incredible rounds, each well above his current 1017 rating. Let’s get inside the mind of this pro and learn how he handled competing on such a demanding course. A five-hour drive from his home in Tennessee, the Idlewild course is a place that Zach has played more times than he can count. As a touring player who crisscrosses the United States each year, he finds time to stop in Burlington to get in a round or two before heading to his next destination. “I’ve had a few more rounds on this course than most others on tour. I’ve stopped through on my way to other places and played with my fellow teammate and local Zach Arlinghaus. I felt comfortable with the course and confident in the shots I wanted to throw,” Melton said. This comfort level certainly paid off, as he was prepared on each and every hole and knew how to best apply his skill set to find success. Many times it’s speculated as to whether a course tends to favor right or left handed players, and for Zach, he was one of the few left-handed competitors that really seemed to excel. “Being left-handed definitely doesn’t hurt at Idlewild. In my opinion, the course is pretty neutral, so that’s why I think most players feel it’s lefty friendly,” he said with a laugh. 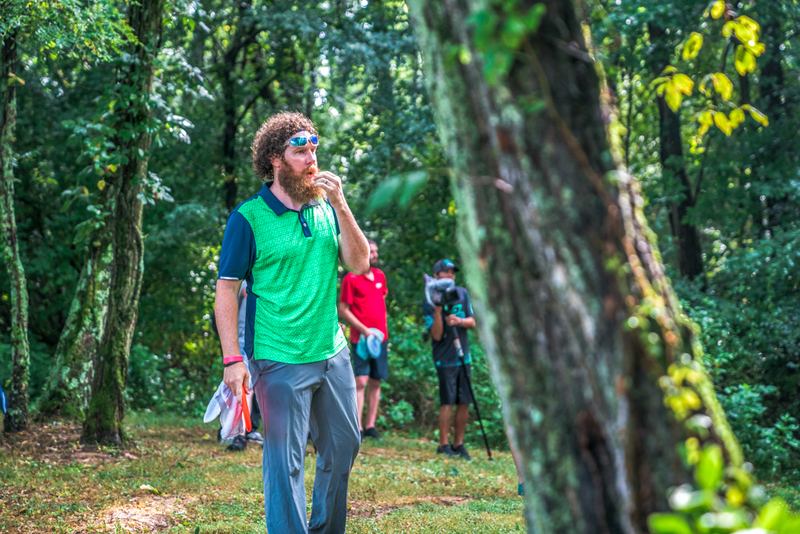 The final round at this year’s Idlewild Open was tense, as players tried to catch up to Sunday’s leader Kevin Jones and ultimately ended up fighting for second place after Paul McBeth turned on the gas. With a decent amount of prize money on the line, how did Melton approach his third round? Zach’s impressive play earned him a nice chunk of change as he narrowly edged out other competitors who were close on his heels. We’ve really enjoyed watching his success during this season and wish him the best as he continues on the rest of his 2018 tour!